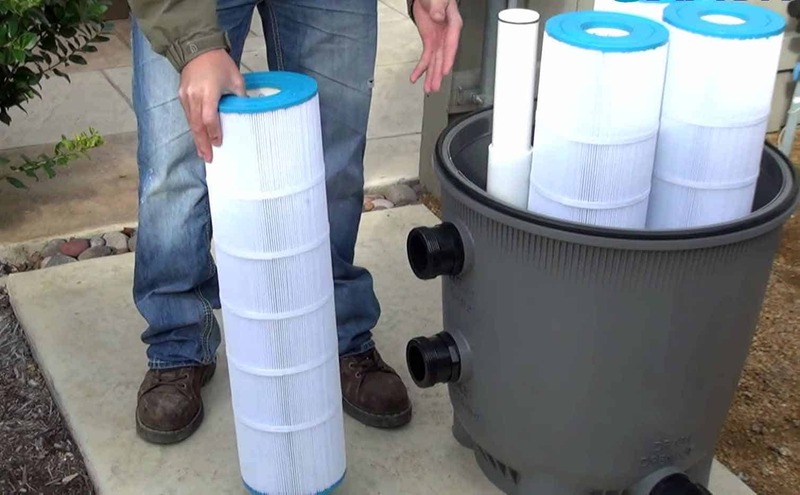 Along with the pool pump, a filter is an essential part of your pool equipment. 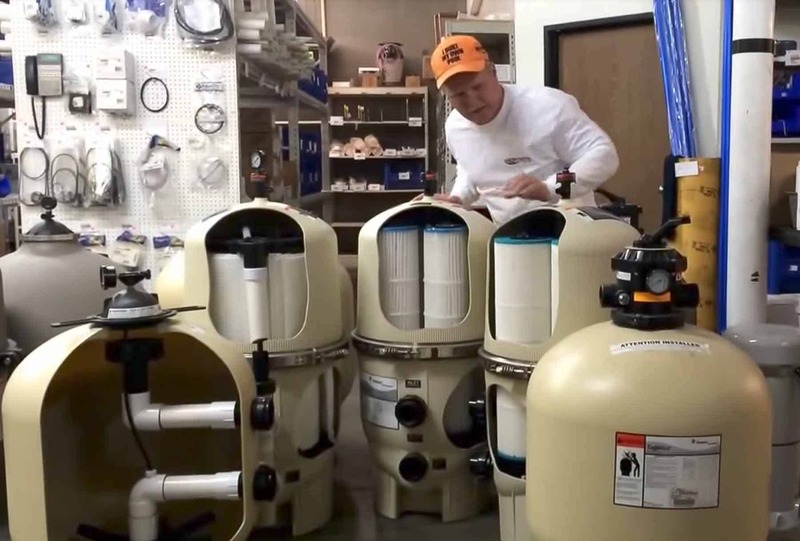 There are two common types of filters that are currently sold in Australia, Sand Filters and Cartridge Filters. Sand filters use sand or glass as the medium for filtering. Sand can trap particles as small as 20-25 microns, Glass media can achieve much finer and can filter particles down to 2-5 microns. As a comparison, a grain of table salt is 100 micron, human hair is approx 75 microns and we can see a 40 micron dirt particle (with good eyesight). As particles become trapped in the sand or glass, it restricts water flow. The filter will need to be back-washed approximately once per month to remove the build-up of collected contaminants. Glass media has 10-12 year life (made from recycled glass & can trap particles as fine as 2-5 microns). Requires the most pressure, making it less energy efficient. The cartridge filter uses a paper-like cartridge to filter the pool water, trapping particles down to 10 microns in size. 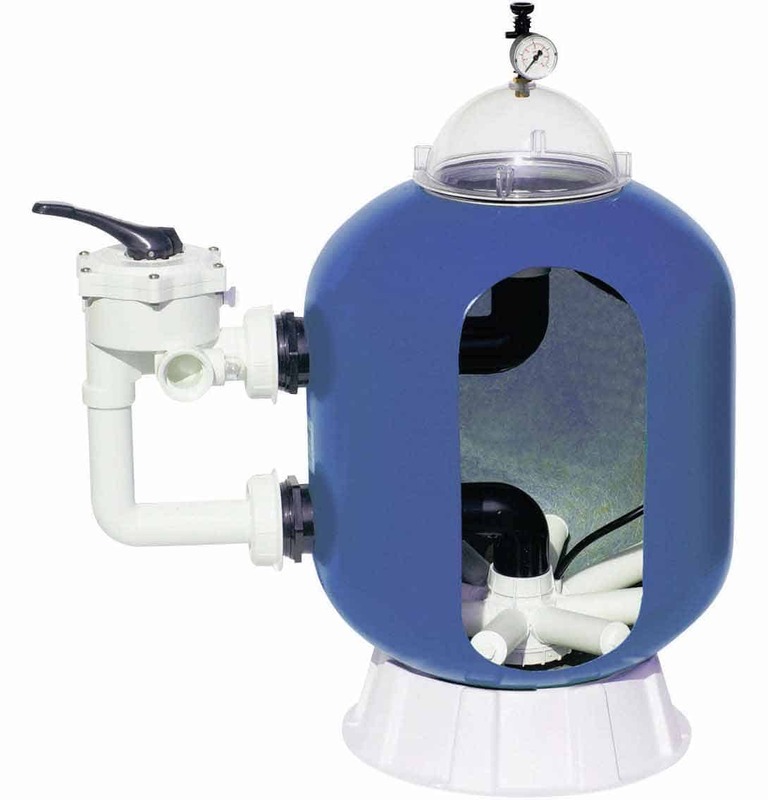 A cartridge filter uses less water pressure to work, so there is less strain on the pump. After time the collected particles in the cartridge will restrict water flow and the cartridge will need to be cleaned or replaced. Manufacturers recommend that cartridges are removed and cleaned monthly. This can be done with a hose and or soaking the cartridge in a mild detergent solution and afterward rinsing thoroughly. Have to deep-clean the cartridges 1-2 times per year. Contact us to get your filters serviced today!